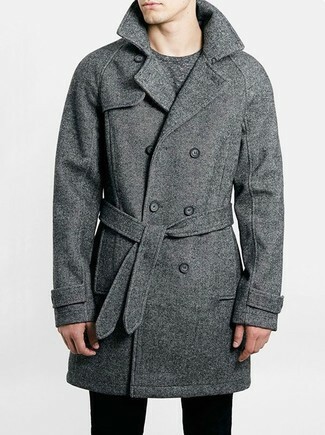 Consider wearing an Eleventy single breasted overcoat and a grey wool three piece suit for incredibly stylish attire. 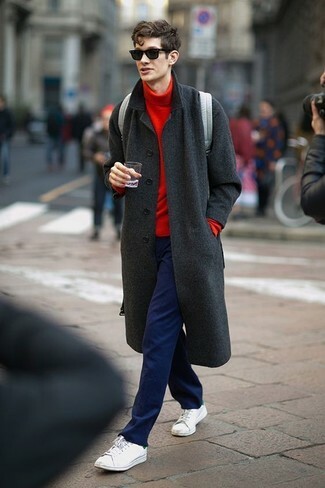 For a smart casual getup, go for an Eleventy single breasted overcoat and navy chinos — these two items play wonderfully together. 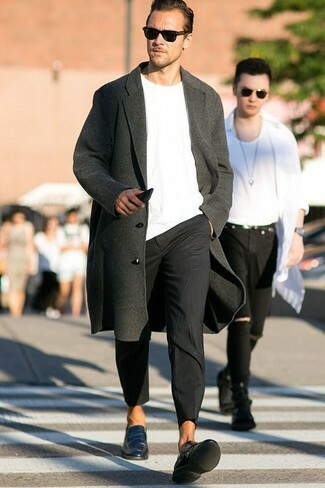 For something more on the daring side to finish off this getup, grab a pair of white low top sneakers. 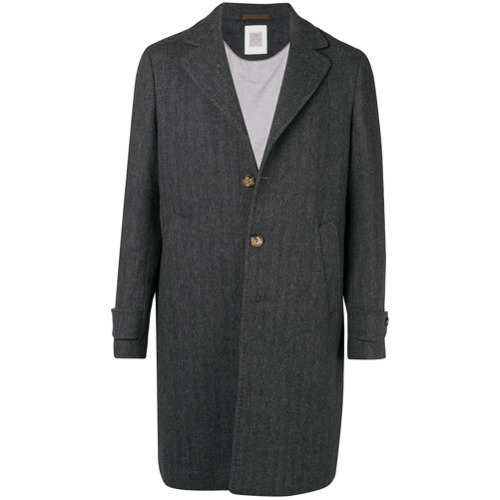 Pair a charcoal overcoat with grey dress pants for a sharp, fashionable look. If you don't want to go all out formal, go for a pair of black leather loafers. 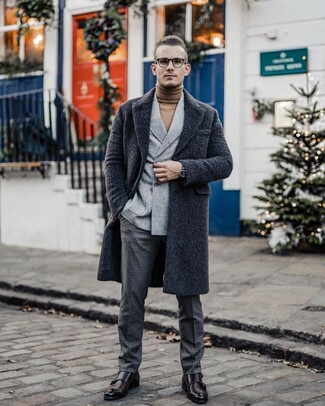 This combination of an Eleventy single breasted overcoat and navy chinos is super easy to make up without a second thought, helping you look sharp and ready for anything without spending too much time rummaging through your closet. To break out of the mold a little, grab a pair of brown suede desert boots. 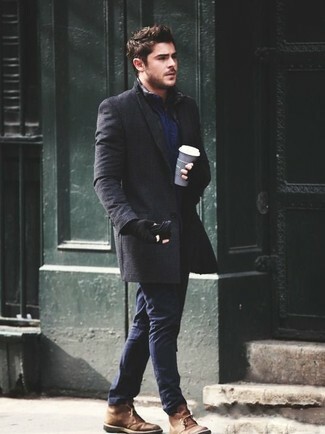 For a casually elegant ensemble, opt for a charcoal overcoat and black jeans — these two items go nicely together. 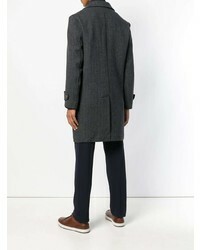 Opt for a charcoal overcoat and charcoal check wool dress pants to look nice and dapper. 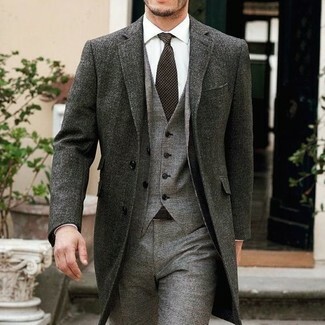 Complement this outfit with dark brown leather double monks and the whole ensemble will come together perfectly. 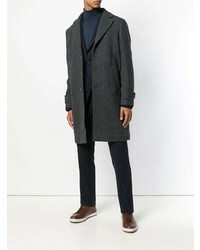 For a casually elegant ensemble, choose an Eleventy single breasted overcoat from farfetch.com and olive jeans — these two pieces play pretty good together. When it comes to footwear, this getup pairs nicely with dark brown leather casual boots. 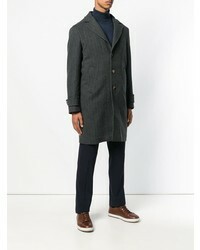 For a smart casual outfit, team an Eleventy single breasted overcoat from farfetch.com with black chinos — these two pieces work pretty good together. When it comes to shoes, this look pairs wonderfully with teal leather loafers. 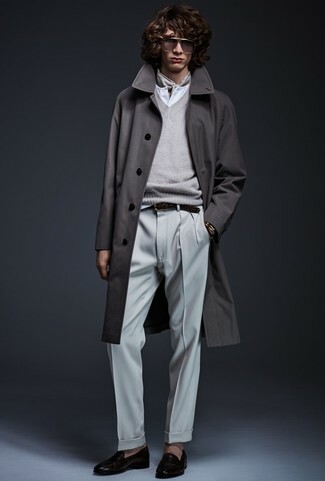 This combination of an Eleventy single breasted overcoat from farfetch.com and khaki chinos is super easy to put together without a second thought, helping you look awesome and ready for anything without spending a ton of time digging through your closet.